WASHINGTON: Advances in US–Taliban peace talks offer cause for cautious optimism, says an American expert of Afghan affairs while another argues that the talks only show Washington’s eagerness to exit Afghanistan gracefully. Most of the experts, including several former US ambassadors to the Pak-Afghan region, agree that — a framework drafted in Doha, Qatar, last week — is a significant document and it can have a major impact on Afghanistan’s future. But Ryan Crocker, a former American ambassador to Pakistan and Afghanistan, warns against a rush for the exits. “I can’t see this as anything more than an effort to put lipstick on what will be a US withdrawal,” Crocker told The New York Times. Marvin G. Weinbaum, director for Afghanistan and Pakistan Studies at the Middle East Institute (MEI), Washington, agrees. “Current talks are far less about finally bringing peace to Afgha­nistan than about the US striking a deal that will allow American troops to exit the country gracefully,” he wrote in his institute’s weekly summary of major events in the greater Middle East region. Chris Kolenda, who recently served with the Pentagon as a senior adviser on Afghanistan and Pakistan, and won the department’s highest civilian award for his work on the Afghan strategy, believes that the understanding reached in Doha last week for restoring peace to Afghanistan could lead to an agreement. “The devil is going to be in the details, of course. And you want to avoid a situation in which the US is making tangible commitments now in exchange for Taliban future commitments, which they could then backslide upon,” he told the National Public Radio, America’s largest radio network. Adam Taylor, a Washington Post columnist and Afghan expert, focuses on what could prevent US and Taliban negotiators — who have been working on a peace deal since July last year — from finalising an agreement. “The biggest question is whether the Taliban will be able to give up on its long-held view of creating a purely Islamic state to make a political settlement with the democratically elected government,” he wrote. “Advances in US–Taliban peace talks offer cause for cautious optimism,” says Michael Kugelman, deputy director and senior associate for South Asia at the Wilson Centre, Washington. Weinbaum points out that nothing thus far suggests the Taliban has given up on its ultimate aim of restoring an Islamic emirate. “If something has changed — as the composition of its negotiating team in Doha suggests — it is that the senior Taliban leadership can now, with military pressure clearing the way, envision a political path to victory,” he wrote. Ahmad Majidyar, director of the Iran Observed project at MEI, calls the progress in Doha the “most significant to date,” but warns that reaching a final agreement is far from guaranteed, as two major sticking points could still derail the process. First, the Taliban appear to be opposed to a comprehensive ceasefire that could provide the space and time for an agreement to be implemented. Second, the Taliban still refuses to negotiate a political settlement with the Afghan government. Remember what happened in Beirut, Lebanon? How many US Marines died when the Palestinians drove to the US Embassy in that city? Time to get out alive is now and it is only possible at the terms the Taliban are dictating. Majority Afghans are Pukhtoons and majority Pukhtoons are pro-Taliban. And Afghans want US exit yesterday. Rest are fairy tales. US must withdraw, wait and see, the repercussions of US-Taliban peace talks deal. There is majority opinion, Afghanistan, will become more unstable, chaos, if Taliban takes over the power, after the peace deal is over and agree upon. The hurry to leave Afghanistan May create more difficulties for general public for possible blood shed. There must be amicable settlement among all tribes, ethnic groups, different factions and Taliban with the help of guarantures that may be from Saudi Arabia, UAE, Qatar, UN. Then elections May be supervised and arranged by UN so new peaceful Afghanistan May emerge. A lot of refugees to be returned back which need financial supports from all stake holders who were involved in for the last 40 years. Simply brilliant! Analysis can’t be better than that. 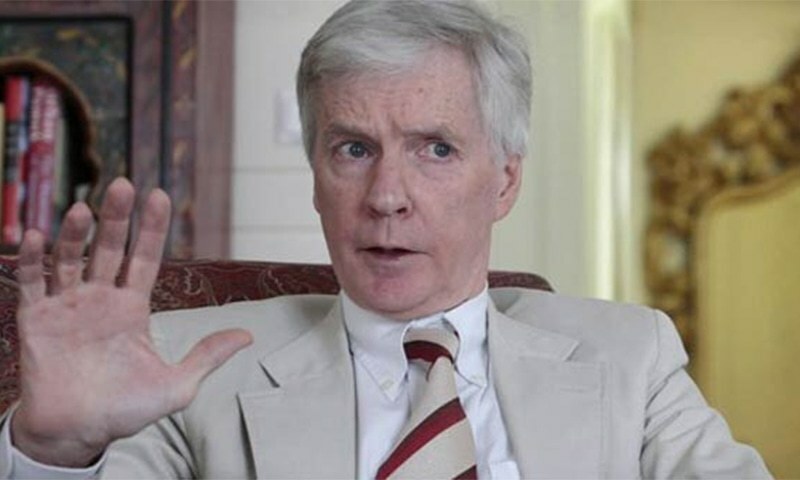 The respected Mr Ryan Crocker definitely understands the sensitivities, psychology, backwardness that prevails in that region, and he is miles ahead of so called, top negotiator chosen by US Govt to find an exit path to save face.